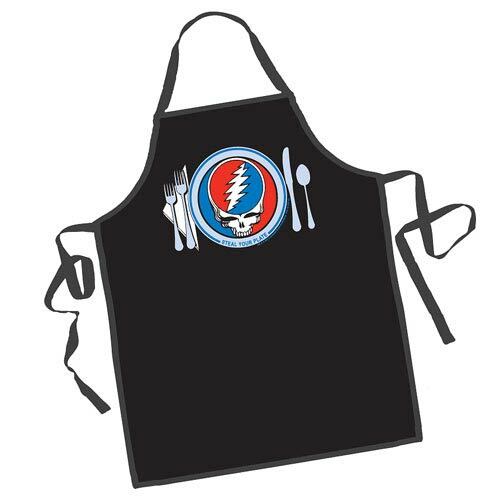 Steal Your Plate with this Grateful Dead Cooking Apron that is perfect for outdoors in front of the grill or in the kitchen. Officially licensed Grateful Dead merchandise. 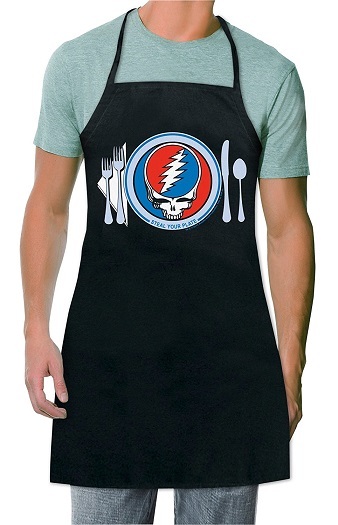 Adult size apron, one size fits most.